In the mobile app, choose between Agenda and 3-day view. In the web app, choose between daily, weekly, or monthly view by default. 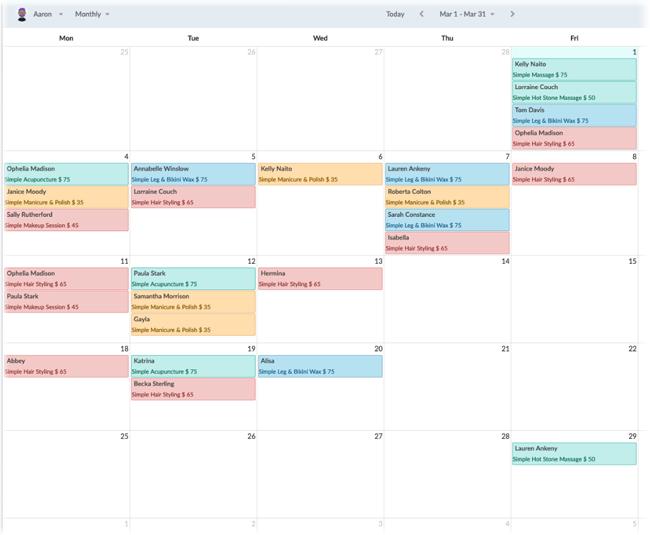 Default calendar view sets whether you see appointments on your calendar in a daily, weekly, or monthly format. This applies to the Setmore web app. In the Setmore mobile app, you can toggle between an agenda (list format) view, and a 3-day calendar view. By default, the Setmore mobile app opens with Agenda view. However, you can change this to a 3-day calendar view at any time by tapping the 3-column icon in the top right. Simply tap the icon again to switch back from 3-day view to Agenda view. 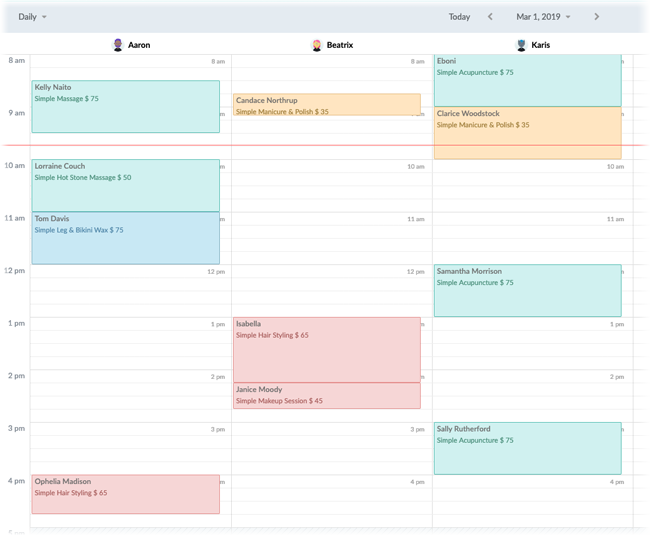 Agenda view lists all of your appointments for the week in chronological order starting from the beginning of the week to the end of the week. Tap on any appointment to access the Appointment Details menu. While in 3-day view, you can swipe down or up to see appointments earlier in the day or later in the day, and you can swipe left or right to see appointments on future days or past days, respectively. You can change your calendar view at any time by using the dropdown menu in the top left corner. Simply select Daily, Weekly, or Monthly and the view will refresh. Note that if you are an account admin, your Daily view will show up to 5-10 staff schedules for the day. When you set a default view, the view will be the same each time you log into Setmore. It's set to "Weekly" when you first sign up for your account. Navigate to Settings > Account > Preferences. Under Default Calendar View, choose the radio button for your preferred view. Your settings will save automatically. In weekly view, the calendar will display all appointments for the week for a single staff member. 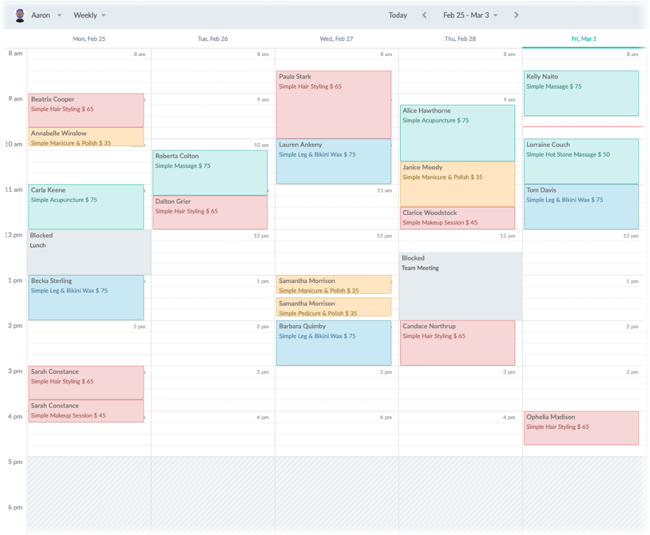 In monthly view, the calendar will display all appointments for a single staff member for an entire month. Not sure which view to use? Weekly view offers the best balance of appointment-level details and date range.